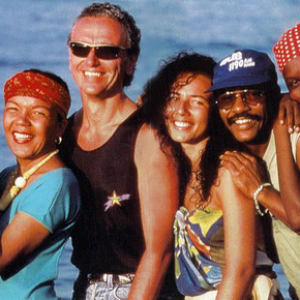 Kaoma is a French-Brazilian pop group made up of former members of the band Touré Kunda: Chyco Dru (bassist), Jacky Arconte (guitarist), Jean-Claude Bonaventure (producer and keyboardist), Michel Abihssira (drums and percussion), Fania (vocals), and Loalwa Braz (lead singer), Chico and Roberta (dancers). Chyco Dru is from Martinique, Jacky Arconte from Guadeloupe, and Loalwa Braz from Brazil. They are best known for their 1989 hit single, "Lambada"